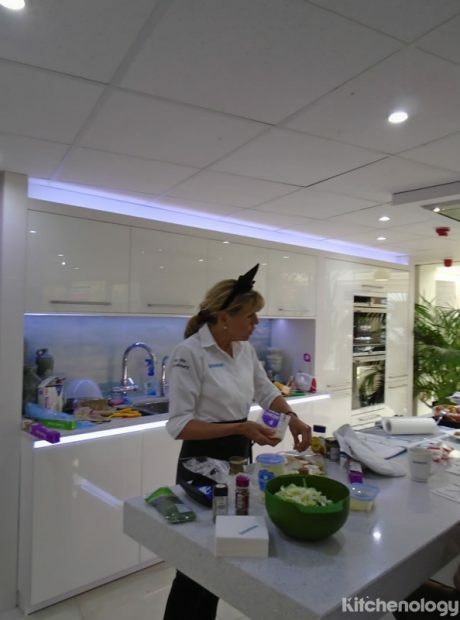 The Siemens Chef Day was a real treat on the eve of Halloween at Kitchenology's showroom in Bury St Edmunds. No tricks required for Jo, the Siemens Chef, to demonstrate the wizardry that makes Siemens cooking appliances fabulous. And no witches brew or pumpkins either, only spellbindingly tasty dishes that materialised before our very eyes – mind you they didn't last long!